The patriotic wedding cake display perfectly suited this Marine wedding in San Diego. The cake sits atop a silver cake stand, above a blue linen lined with white candles and red rose pedals. The white cake itself is accented by blue lines and red and white flowers. 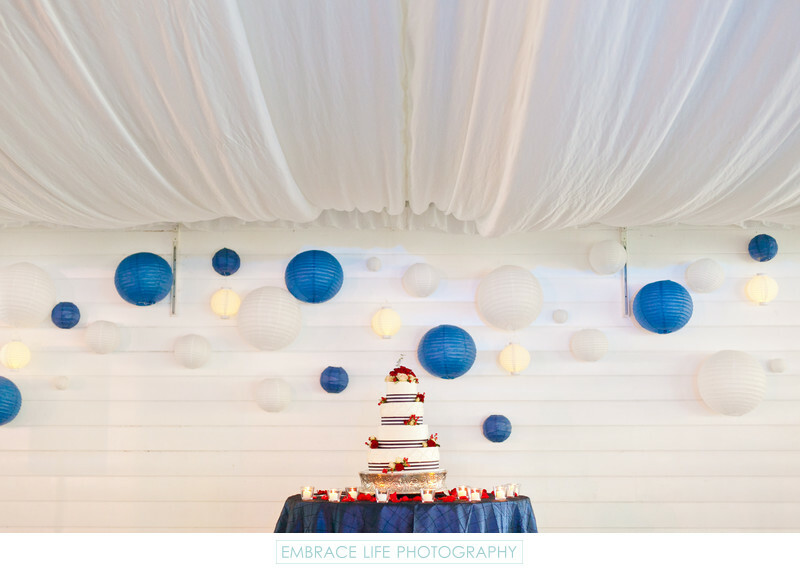 The ceiling of the wedding venue is draped in white fabric while the white, wood paneled wall behind the cake table is dotted with white and blue paper lanterns.